These cookies are simply fabulous. 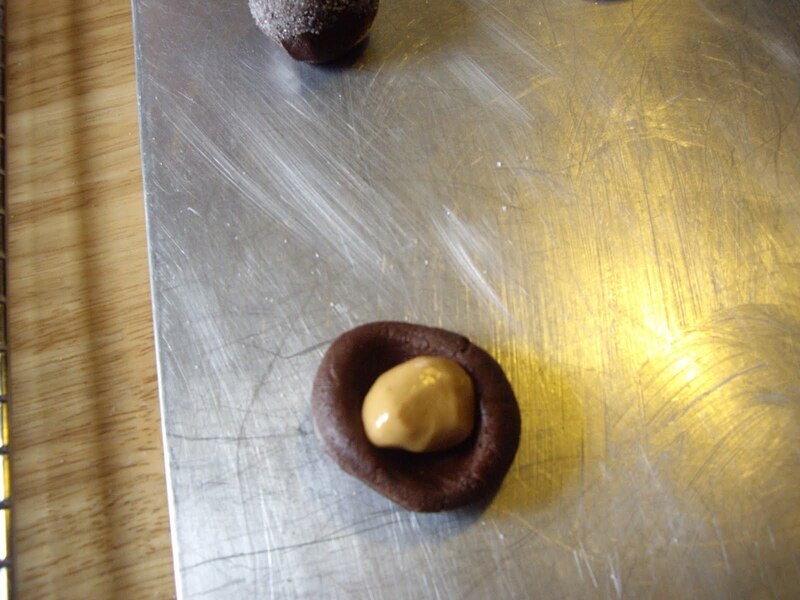 It’s a chocolate cookie with peanut butter in the middle. Hence the name- magic in the middle. I love making these with my daughter. These are 2 step cookies. In a medium bowl add the peanut butter and powdered sugar for the filling. Work it together with a spoon and than your hands. At first it will become crumbly, but keep working it together and it will become very smooth like modeling clay. In another bowl whisk the flour, cocoa powder,baking soda, and salt. 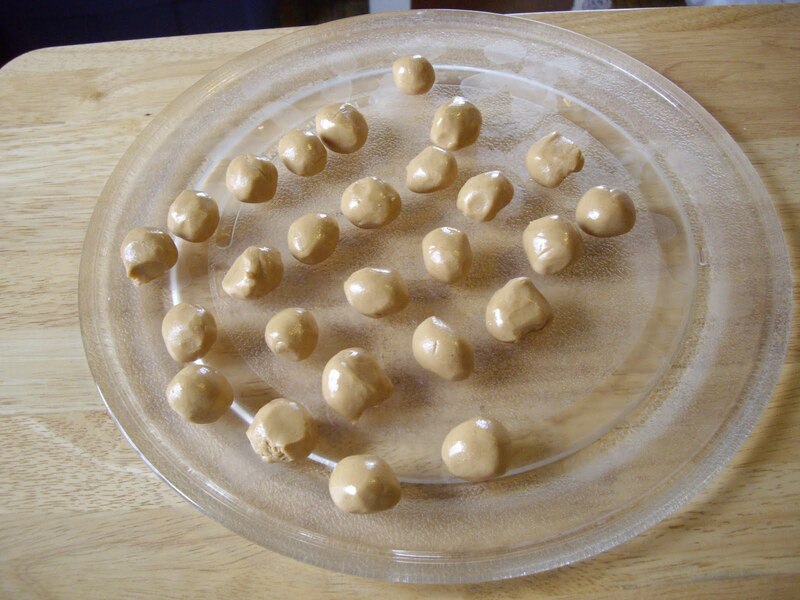 In another bowl beat together the butter, peanut butter, and sugars until light and fluffy. Add the egg and vanilla extract and beat. Now it is time to roll the cookie and filling into balls. You will need to get 26 filling balls and 26 cookie dough balls. Once you have that done, you need to put the filling into the dough. 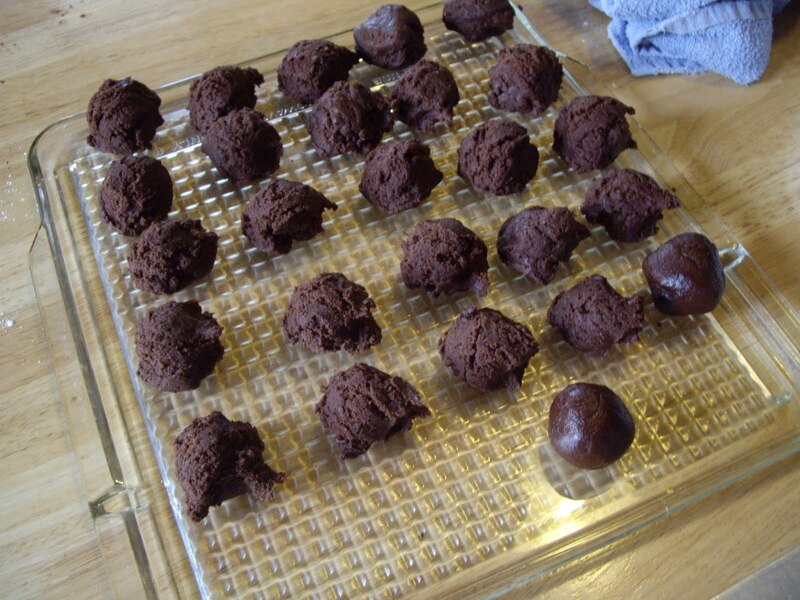 Take a ball of dough and make an indention in the middle, stick the filling in it and seal it up. Once you have the filling sealed inside the dough, smooth it into a ball. Dip the tops of the cookies in a small amount of sugar. 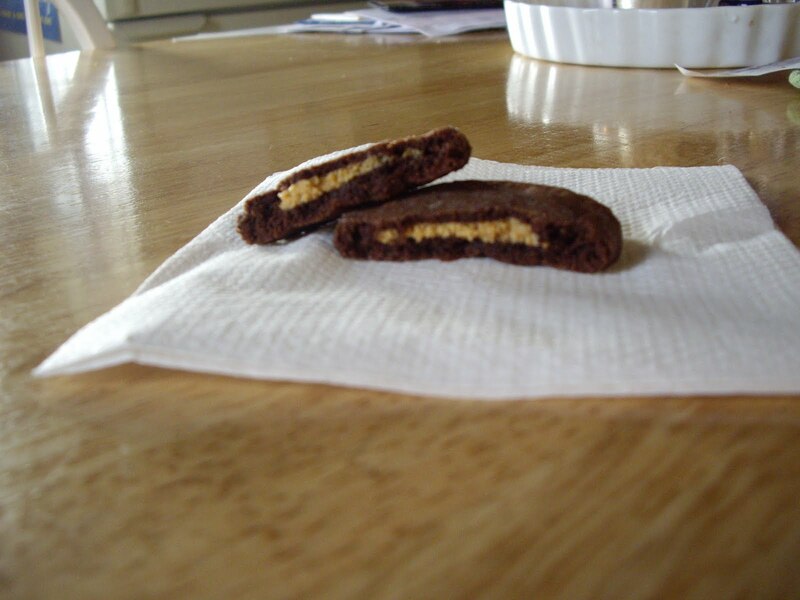 With a bottom of a glass, flatten the cookies slightly to about 1/2 inch thick. Bake the cookies for 7-9 minutes, just until they are set.